In the M assignments, you will complete one cycle through the design life cycle with a task of your choice. This may be redesigning an existing interface, or it may be designing a new interface to address some as-yet unaddressed task. You should choose the interface you will investigate and design or redesign prior to beginning Assignment M1. You are allowed to change topics in later M assignments, but it is not recommended. Select tasks with large audiences. You’ll need to recruit participants to complete surveys or participate in interviews, and selecting tasks with extremely niche audiences will make this difficult, unless you have access to that audience. Emphasize the task. When designing interfaces, we are actually designing tasks. In this project, you shouldn’t redesign entire web sites or entire apps; most web sites and mobile apps support multiple tasks. Instead, focus on a specific task to redesign, like the search function for Netflix or the password-entry part of using an ATM machine. Select a commonly-known task. After all, the graders and your peers need to evaluate and give feedback on your work; if they are completely unfamiliar with the task you’ve selected, they will have difficulty providing feedback. Defining the problem space will be the first task you undertake in Assignment M1. Answer the following prompt in a maximum of 8 pages (excluding references) in JDF format. Any content beyond 8 pages will not be considered for a grade. 8 pages is a maximum, not a target; our recommended per-section lengths intentionally add to less than 8 pages to leave you room to decide where to delve into more detail. This length is intentionally set expecting that your submission will include diagrams, drawings, pictures, etc. These should be incorporated into the body of the paper unless specifically required to be included in an appendix. If you would like to include additional information beyond the word limit, you may include it in clearly-marked appendices. These materials will not be used in grading your assignment, but they may help you get better feedback from your classmates and grader. For example, you might include copies of previous assignments, copies of your surveys, raw data, interview transcripts, raw notes, etc. : anything that does not directly address the assignment’s questions, but rather helps understand your progress as a whole. In this assignment, you’ll compile a plan for your initial needfinding exercise for the project you’ve selected. You will not perform the needfinding exercises yet; that is what you’ll do in Assignment M2. First, include an abstract that briefly introduces your project and gives context on what task you’re addressing. You’ll include this abstract in each M assignment to give the grader and your peers context on what you’re working on. If you’d like to include more context than you can fit into 50 words, feel free to include an appendix containing an extended abstract. Next, define the problem space. Define the problem itself and the location in which the problem takes place, including elements of the environment surrounding the problem. This is also where you’ll define the segment of the target domain for which you’re interested in developing (e.g. the turning alerts for a navigation app or the search function for a Netflix app). You’ll develop this more when you actually carry out the needfinding exercises, but you need to have some rough idea to know where to start looking. Then, outline your user types. For whom are you interested in designing? Make sure to include their demographic information, their levels of expertise, and their motivations for engaging in the task. It is fine to have a broad, diverse audience rather than a narrowly targeted one, but that diversity needs to be defined explicitly. Naturalistic observation: what will you observe? Where? When? What data will you gather? Participant observation: what will you do? What steps will you follow? What data will you gather? Surveys: what will you ask? Who will you send the survey to? Interviews: what will you ask? Who will you ask? Think-aloud or post-event protocols: what will participants do? What will you ask them while or after they do it? Apprenticeship: who will you work with? What will you learn? Analysis of existing user interfaces: what interfaces will you look at? Where will you find them? Analysis of product reviews: where will you find the reviews? How will you examine them systematically? Analysis of existing data logs: where will you find the data logs? How will you examine them systematically? Lay out a clear plan for that needfinding exercise. The nature of the plan will differ based on the type of needfinding you select, as indicated by the questions in the list above. For all methods, you should answer the questions above in the body of your assignment; however, you should feel free to also include things like the full survey text or the full interview script in an appendix. 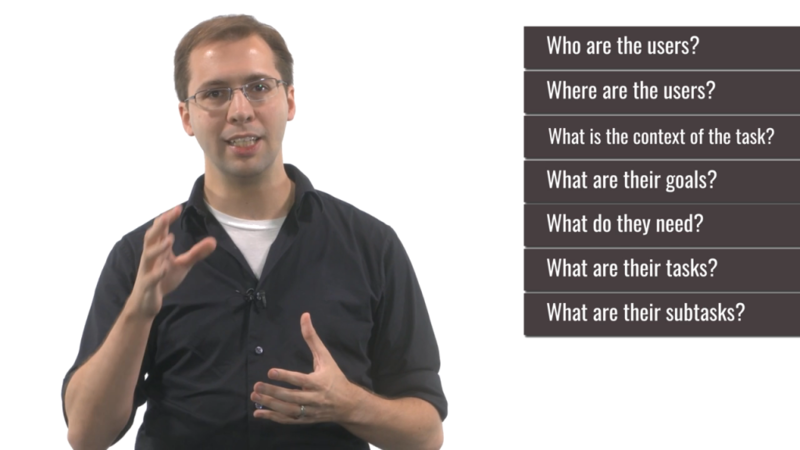 Make sure to connect the needfinding exercise to items from the data inventory, which is the second video in the Needfinding lesson. Each needfinding exercise does not need to address every item in the data inventory; however, generally every part of the needfinding exercise should address some item in the data inventory. Last, specifically outline the potential biases you might encounter during this needfinding exercise. What are they, and what concrete steps will you take to limit their impact? 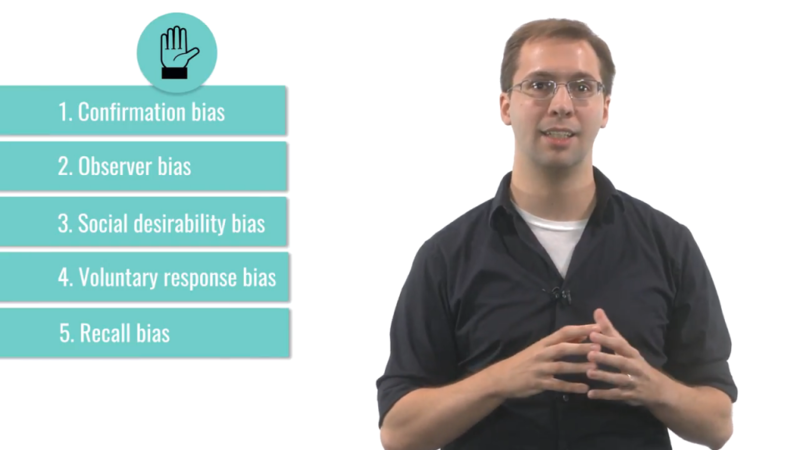 You can find a list of some common biases in the fifth video in the Needfinding lesson. You might also find some interesting biases to address in Wikipedia’s long list of biases. Repeat the steps for Needfinding Plan 1, selecting a different needfinding approach. Make sure to lay out a plan for the needfinding approach, connect the approach to the items in the data inventory, and address the biases that may come up when using that approach. Repeat the steps for Needfinding Plan 1 and Needfinding Plan 2, selecting a third different needfinding approach. Make sure to lay out a plan for the needfinding approach, connect the approach to the items in the data inventory, and address the biases that may come up when using that approach. Complete your assignment using JDF, then save your submission as a PDF. Assignments should be submitted to the corresponding assignment submission page in Canvas. You should submit a single PDF for this assignment. This PDF will be ported over to Peer Feedback for peer review by your classmates. If your assignment involves things (like videos, working prototypes, etc.) that cannot be provided in PDF, you should provide them separately (through OneDrive, Google Drive, Dropbox, etc.) and submit a PDF that links to or otherwise describes how to access that material. This is an individual assignment. All work you submit should be your own. Make sure to cite any sources you reference, and use quotes and in-line citations to mark any direct quotes. Late work is not accepted without advanced agreement except in cases of medical or family emergencies. In the case of such an emergency, please contact the Dean of Students. Your assignment will be graded on a 20-point scale coinciding with a rubric designed to mirror the question structure. Make sure to answer every question posted by the prompt. Pay special attention to bolded words and question marks in the question text. After submission, your assignment will be ported to Peer Feedback for review by your classmates. Grading is not the primary function of this peer review process; the primary function is simply to give you the opportunity to read and comment on your classmates’ ideas, and receive additional feedback on your own. All grades will come from the graders alone. You will typically be assigned three classmates to review. You receive 1.5 participation points for completing a peer review by the end of the day Thursday; 1.0 for completing a peer review by the end of the day Sunday; and 0.5 for completing it after Sunday but before the end of the semester. For more details, see the participation policy.